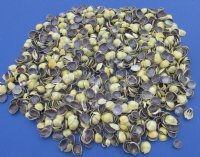 Wholesale Cut top pieces of money cowrie seashells in bulk for crafts and making jewelry, Cyprae moneta, measure between approximately 1/4 inch and 1 inches in size. 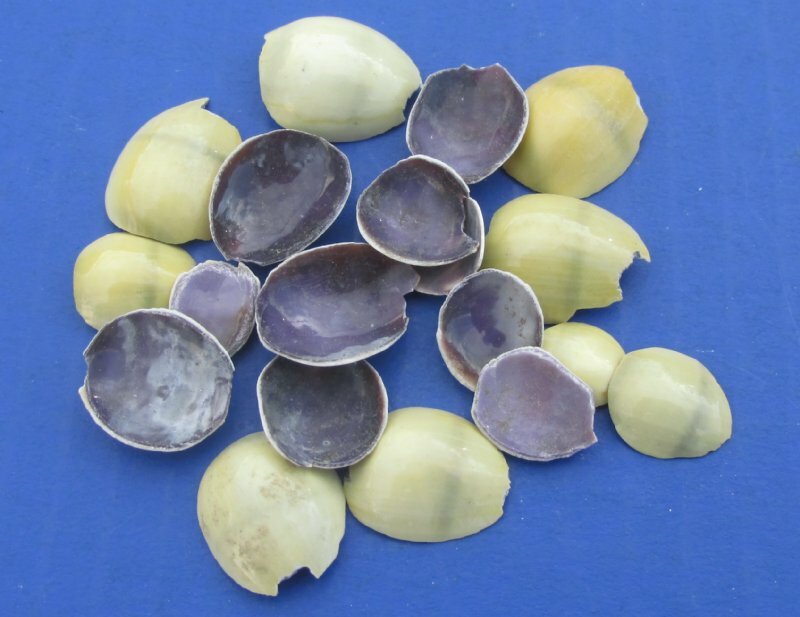 These cut top pieces of money cowrie seashells in bulk are used in making shell mirrors, shell ornaments, shell wreaths, shell characters, shell baskets and in numerous shell craft projects. 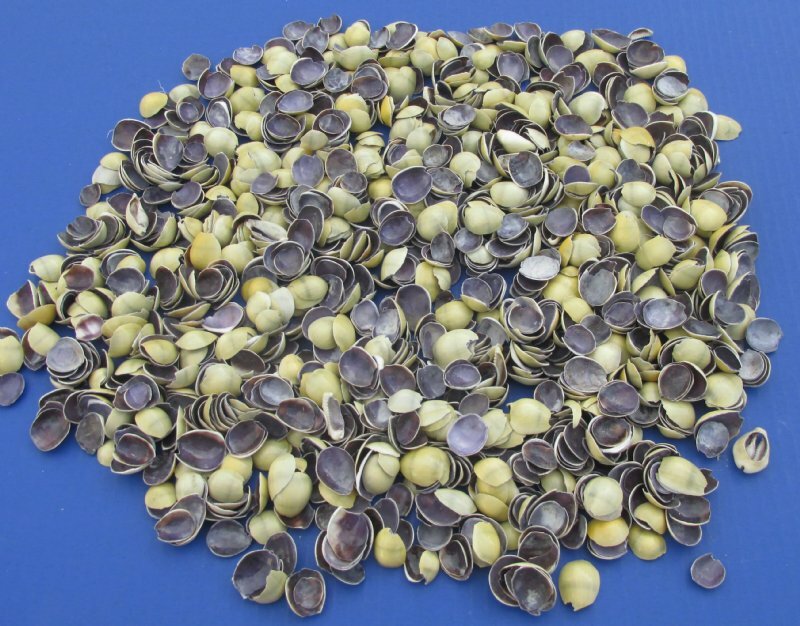 This is a wholesale kilo bag of seashells, commercial grade. They are real and will vary in size and shading - these are the top pieces of the cowrie shell that have been cut off.